According to The Wrap, Warner Bros. has had to monkey around with some of its release dates. Godzilla 2, Gareth Edwards’ sequel to his portly reboot, has been pushed back from June 8, 2018 to March 22, 2019. The scheduling change spares the sequel the wrath of the Transformers 6 box-office take, with the added bonus of giving Ghidorah and Rodan some time to shop for something to wear for the pending reunion. After all, Godzilla 2 will bring the titular monster together with his old “pals” Mothra, Ghidorah, and Rodan, for what looks to be Tokyo’s version of The Big Chill. 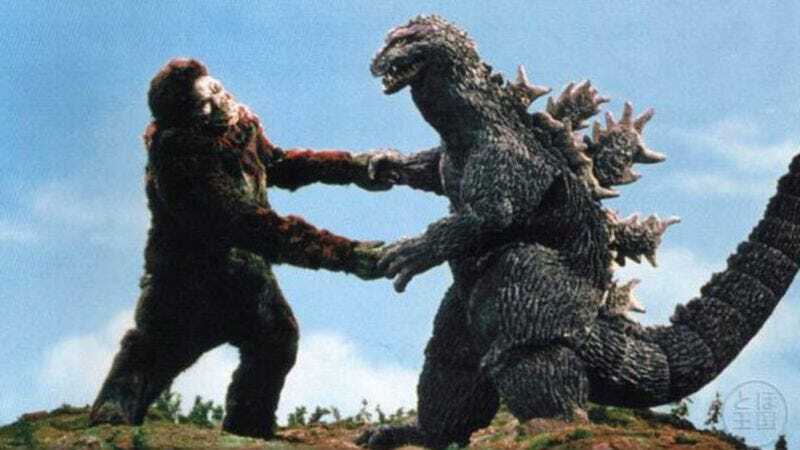 We previously reported that the Godzilla Vs. Kong showdown had been set for some time in 2020, and now Warner Bros. has confirmed that the film will debut May 29, 2020. We know that’s still four years away, but who knows? Maybe the studio’s DC Extended Universe plans will find a way to work Wonder Woman into the story to settle their hash. For now, Godzilla Vs. Kong is sitting pretty in the month of May 2020, with only an “unnamed Marvel movie” for competition. And speaking of superhero movies, The Wrap posits that the untitled DC movie in Warner Bros.’ lineup is none other than that Green Lantern Corps film.